Projectmates ad hoc reports provide unprecedented control over project data and are incredibly easy to use. Unleash project analytics through reports that give you the critical insight needed to make smart decisions. Highly configurable, ad hoc reports feature drag and drop functionality, support grouping and summarizing of data, provide advanced filter logic, and let you control what information you want in your reports. 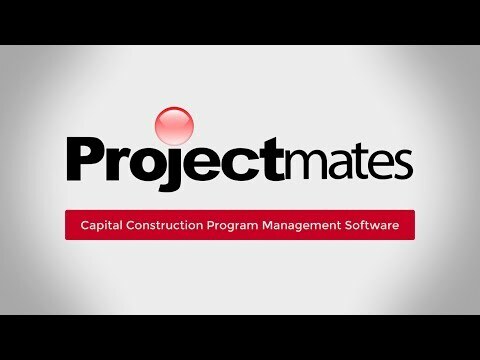 The practical applications of Projectmates construction reporting tools are limitless. For example, a program director can build a budget report by fiscal year and then view the average cost of architectural services by region. Track budgets, compare actual costs versus anticipated costs, and track project expenses by department. This data can be used for trending and forecasting of future projects. In addition to ad hoc reports, Projectmates construction reporting software provides over 100 enterprise reports out-of-the-box. Pre-built reports capture vital information, such as project status, total project cost, and change orders to date. With Projectmates automatic report delivery, reports can be scheduled for automatic delivery to department directors on a quarterly basis or as needed. Projectmates consultants can help you configure an existing enterprise report from a template or create an entirely new report from scratch. The vendor summary displays all financials for each vendor. Key Performance Indicators flag excess change orders by vendor and project. Ad hoc reporting gives you control over project analytics and critical insight to make smart decisions. Reporting has never been easier.